Stream The Best Songs Of March 2019 Behold, your weekend soundtrack. 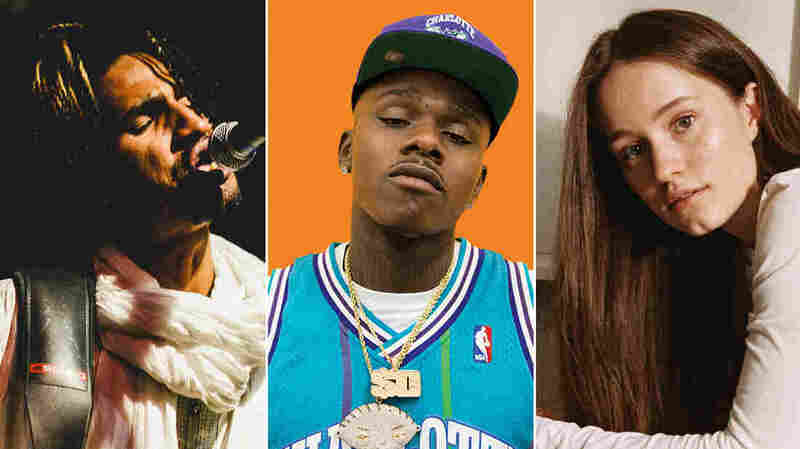 Mdou Moctar, DaBaby and Sigrid made some of our favorite songs from the month of March. A meditative quality lingers over our favorite tracks from March. U.K. rapper Dave crafted a 11-minute opus to an acquaintance, grappling at once with toxic masculinity, domestic violence and the cathartic value of therapy. LA rock star-on-waiting SASAMI wades into a solitary quest for universal connection. Caleb Burhans shares his entrancing tribute to the late Jason Molina. And Amanda Palmer unleashed a grand treatise on the human condition. Nevertheless, there's moments of mirth here, too — Maren Morris linked up with the Brothers Osborne for a front-porch celebration, viral rapper DaBaby partners with Offset for a standout that belies his goofy origins, and Austin fixture Grupo Fantasma infuses its cumbia-laden funk with a resounding statement for unity. Below you'll find a complete, alphabetized list of NPR Music's favorite 10 songs for March, as well as a Spotify playlist to hear them. And be sure to check out the 10 best albums we heard in March, too. Caleb Burhans, "A Moment For Jason Molina"
SASAMI, "Turned Out I Was Everyone"
Kronos Quartet & Mahsa Vahdat, "Placeless"
Emily Wells, "Remind Me To Remember"